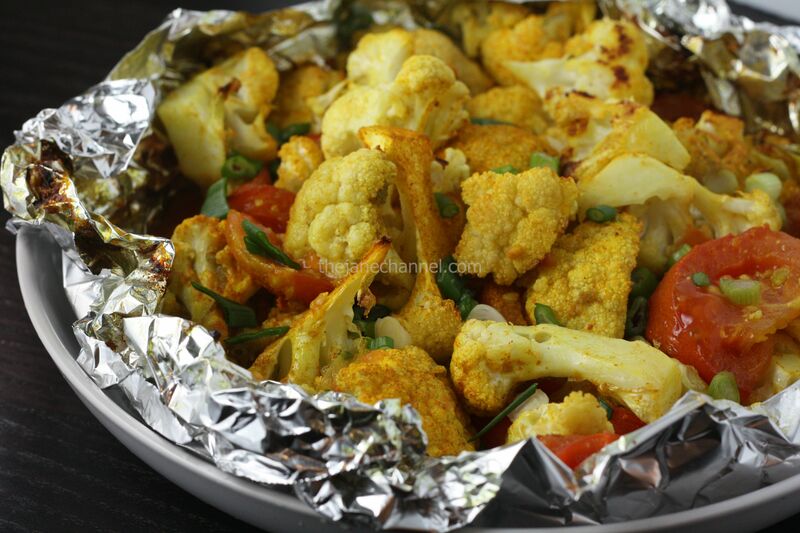 A colorful vegetarian side dish that is also delicious and easy to make and clean up! This will likely be added to my rotating list of dishes that is cooked regularly. Toss cauliflowers and tomatoes with all the ingredients listed above. Roast in the oven at 450 degrees for 20-25 minutes. Sprinkle with lemon juice and chopped green onions.